Master 6 loves to cook in the kitchen with me, he’s very creative and loves to mix, stir and create food he can proudly say he made. 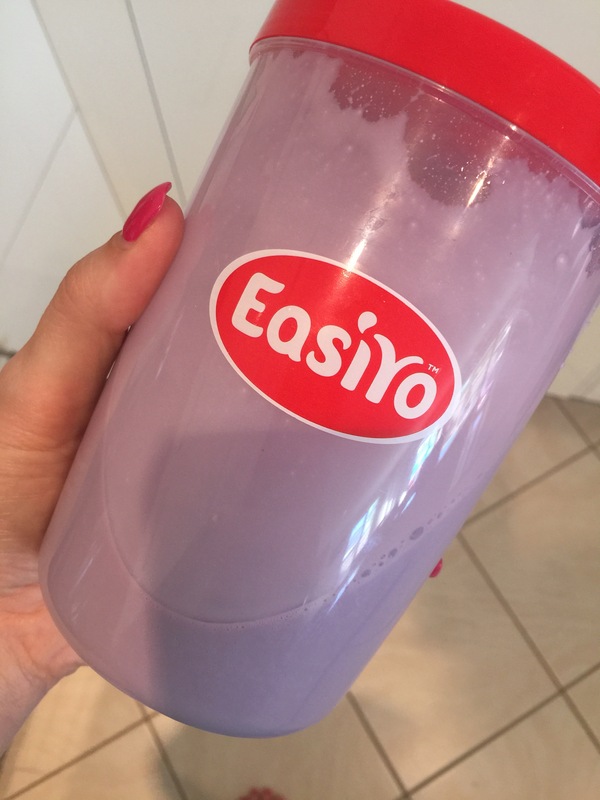 Recently I received the EasiYo to review and my first thought was to make protein yoghurt for Mr Tink however the instant Master 6 saw it he begged me if he could make his own blueberry yoghurt. 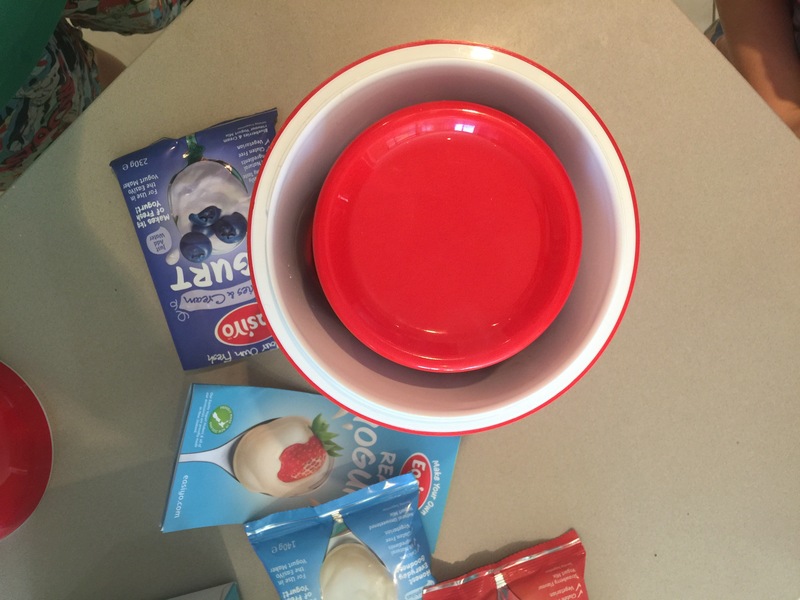 The process seemed easy enough: simply add water to the packet, shake it up in the container, place the container in the Yogurt Maker canister, pour boiling water into the canister, shut the lid and wait 12 hours. 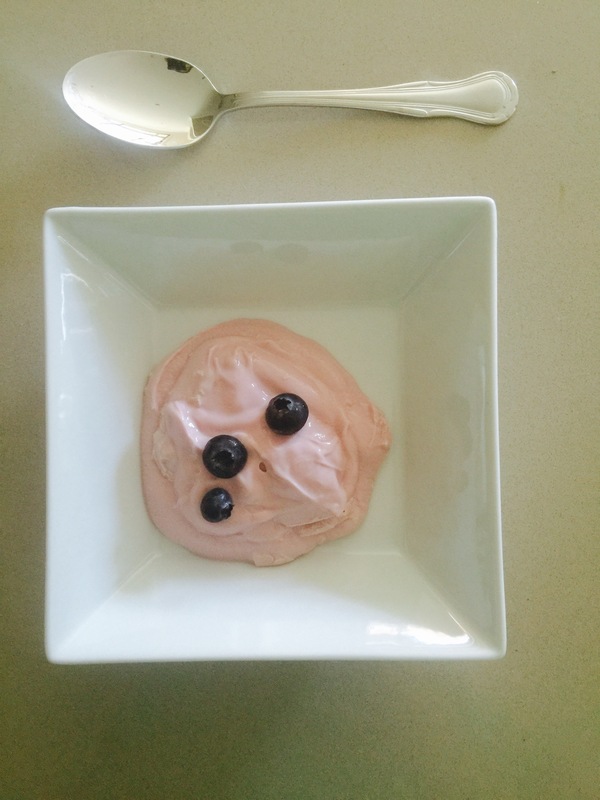 Making it was easy, keeping a 6 year old busy who wanted to eat the yoghurt he had made all by himself – impossible! 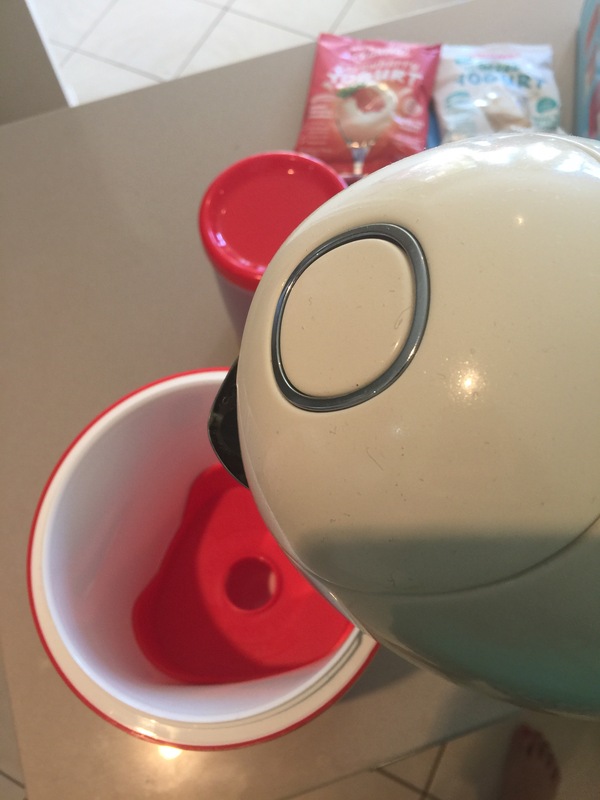 Master 6 was so excited he asked me every 30 seconds for 12 hours “When will it be ready?” After 12 hours I took the container out of the canister and placed it in the fridge to cool with a promise to Master 6 he would be eating delicious homemade yoghurt for breakfast. Keeping me to my word he woke me at the crack of dawn for his breakfast and was so excited to see what he had created. I’m delighted to say he ate 3 helpings and continued to devour it over the next few days, super proud it was made by him. Poor Mr Tink is yet to have protein yoghurt as our Master Chef has found his thing, he is now a non-stop yoghurt maker. You’ll have to watch this space to see more details when I eventually get a moment to use it and can pry it away from Master 6. The EasiYo was a fun product to review, super easy to use and would make a great Christmas present for people of all ages. Would you like to try your own EasiYo at home? The lovely team at EasiYo are giving one lucky reader the chance. 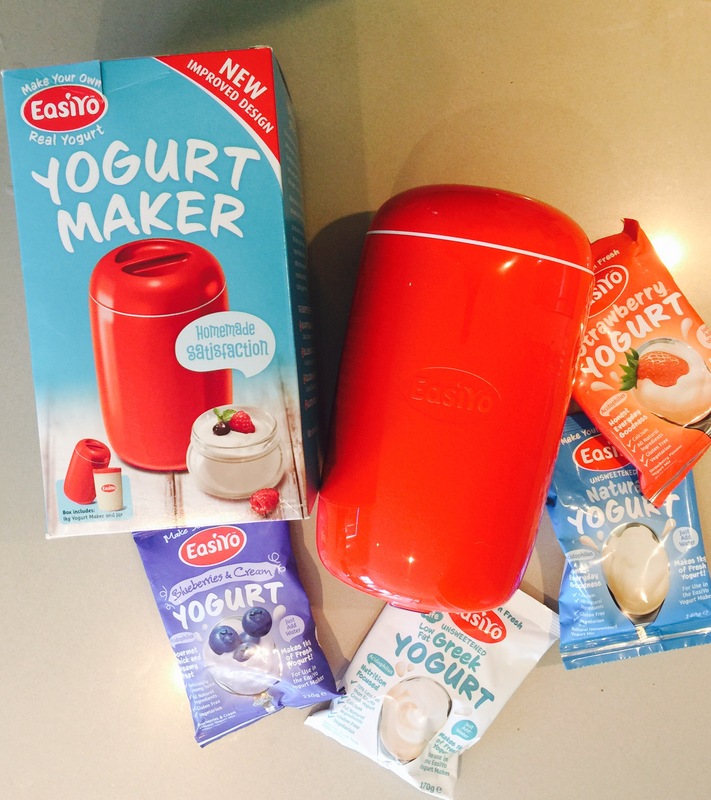 To enter simply share with us why you would like to try the EasiYo? I buy so many yoghurt’s each week it would be amazing to make my own and know exactly what is in them. 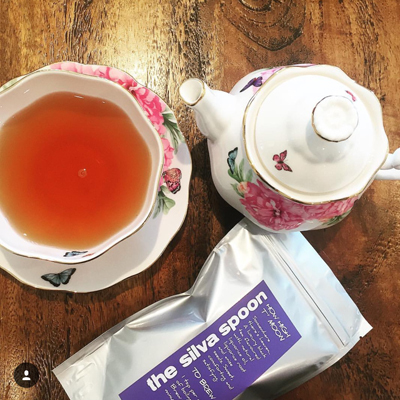 I would love to create my own flavours, fresh, convenient and easy to make. No added chemicals or artificial flavours or colours. 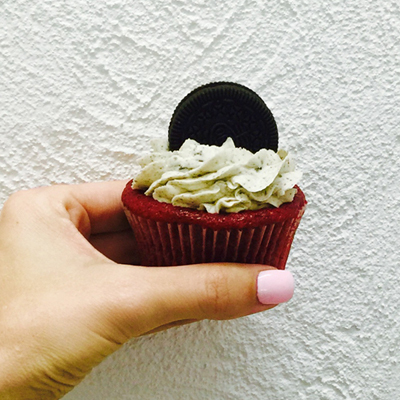 Natural and delicious. We all love yoghurt in our house, but all different flavours. 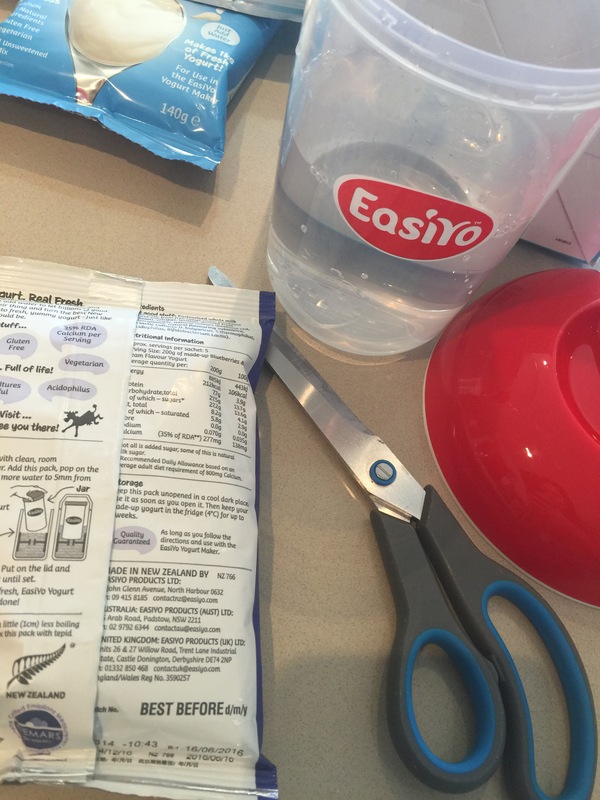 My son hates bits in his yoghurt, my hubby will eat anything, and I love plainer yoghurt every morning with my muesli. We are a mixed yoghurt house and it’s a regular on our shopping list. It would be fantastic to make our own at home with EasiYo. We could all make our own! To see if I can’t make my perfect passion fruit yogurt. Yummo. I live on a mango farm… I eat them, dry them, make cheese cake with them, make the most awesome smoothies with them and have a freezer full of them to last the year… I would absolutely want to give yogurt a go. I grow heaps of pineapples and bananas too I wonder if I can make it with those? I’ve always wanted to try this, but just never got there, we all live our yogurt and to make our own flavours would be fantastic. Healthier than cream, I dollop yogurt into everything – cereal, dips, smoothies, I even use yogurt instead of sour cream for Beef Stroganoff. And because I’m always dolloping, I’m always running out. Having a ready supply would be wonderful. Having a supply of different flavours would up the challenge of using yogurt in new ways. EasiYo!